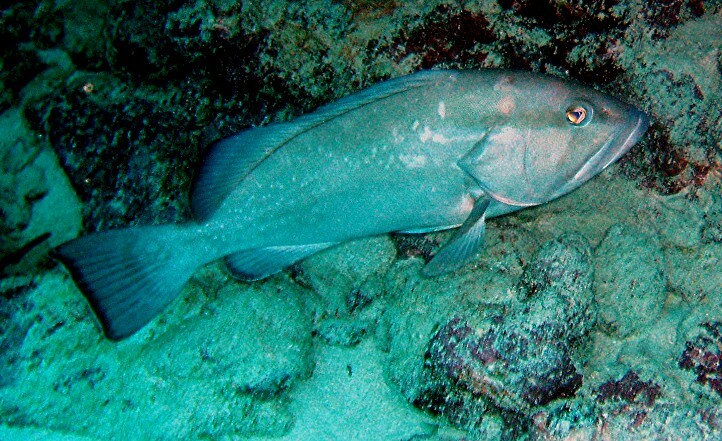 This appears to be a Gag Grouper. Photo by Rod; 29 March 04 in about 30 feet water. Location was Statue dive site, Pennekamp Park, Key Largo. 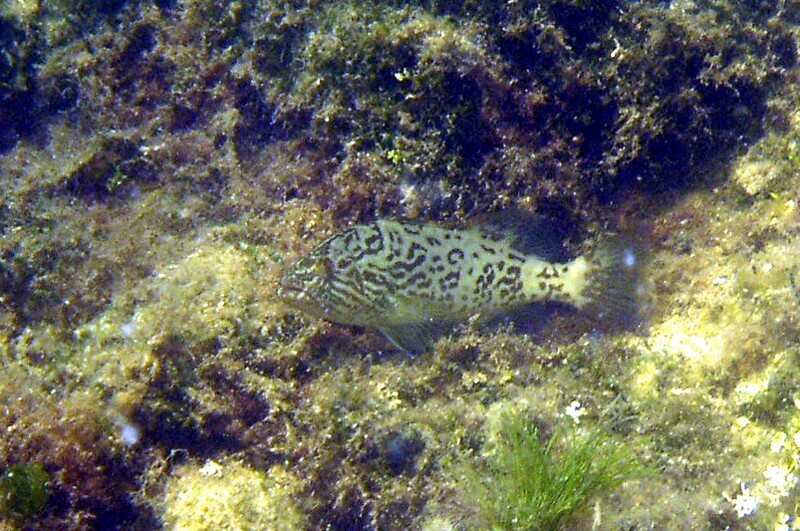 Lines radiate from eyes; Dusky tail has thin blue margin; Scamp Grouper (M. phenax) is very similar, but does not show those radiating lines. I reduced picture size so they would be visible on your screen. Just click on thumbnail for 6 x 4 picture, and name for 10 x 8 full size picture or more info. This appears to be a juvenile Gag Grouper. Photo by Rod 25 Feb 04 in about 10 feet water. Location was offshore at Cannon Beach, Pennekamp Park, Key Largo.